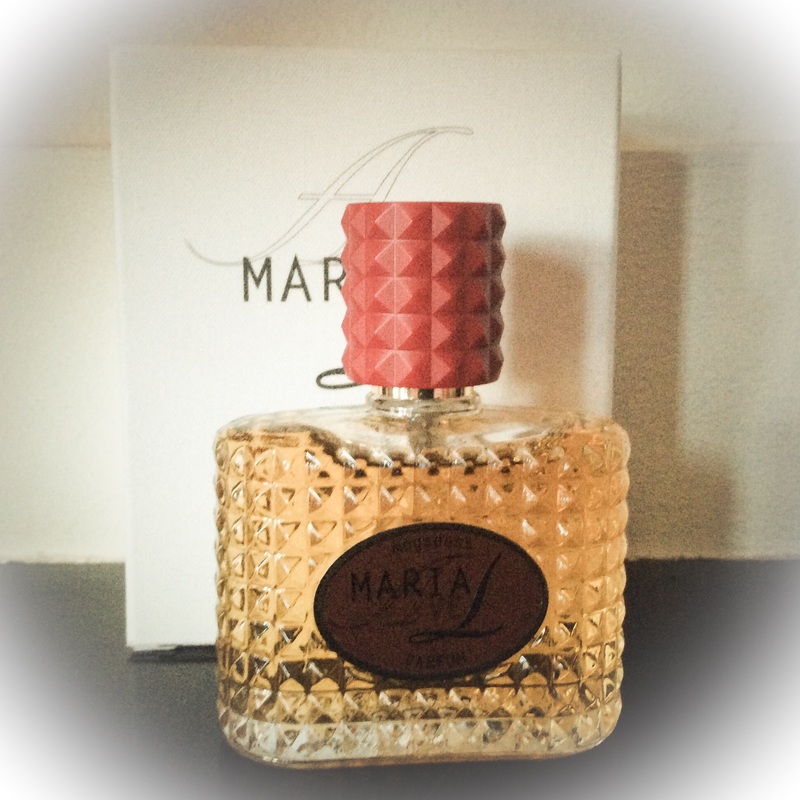 MariaLux Mogadess is a warm, rich luxurious spicy gourmand fragrance inspired by the riches of the earth with notes reminding me of soft almond nougat (Spanish turron) and oranges infused in chocolate. The notes make it a perfect Christmas fragrance and suited to wear on colder winter days. Mogadess means sacred. Although not groundbreaking, it is an interesting abundant fragrance which changes significantly during the day. The fragrance was made by Italian perfumer Alessandro Gualtieri and introduced in 2014. The beautiful bottle was designed by his wife Dutch designer Lilian Driessen and inspired by classic perfume bottles. Underneath the bottle the frase is written Everything I own smells of you. Each fragrance from the MariaLux line has a different text on the top of the box. The brand name MariaLux has been changed into MariaL due to legal (probably intellectual property law) reasons. What does it do ? It gives me the feeling of wanting to go out and have a luxurious party in a red evening dress. The text on the bottle Everything I own smells of you reminds me of the song All I want for Christmas is you from the movie Love Actually. Both Mogadess and Love Actually are very appropriate for Christmas.